'Al's Choice', an intersectional, is not as floriferous as it was last year, possibly because it needs to be divided after six years. 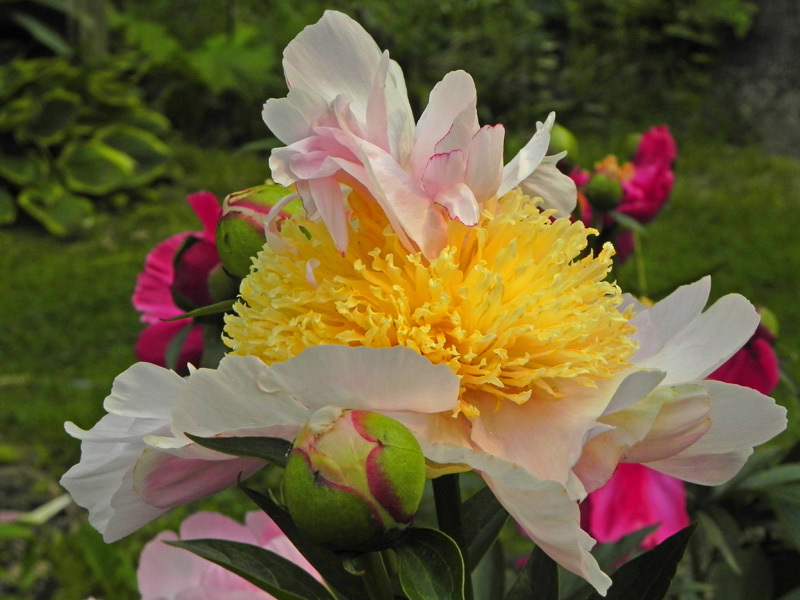 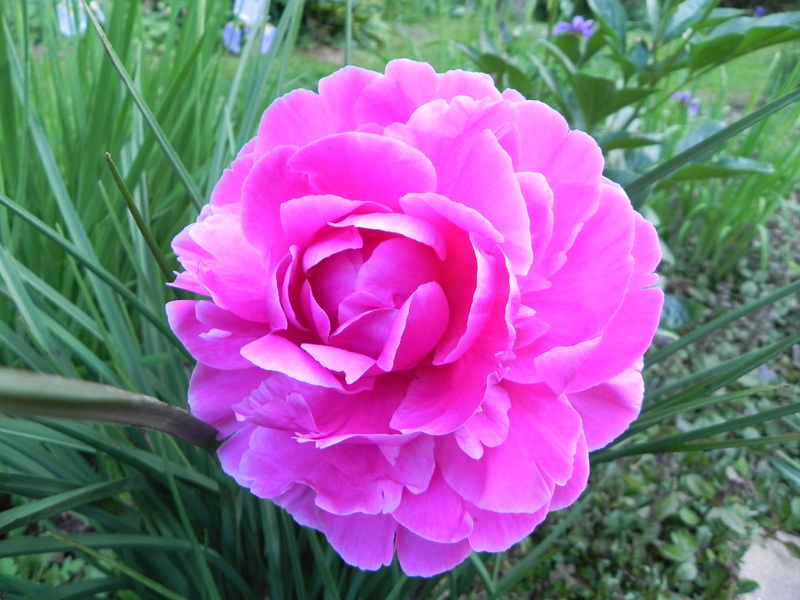 This is an issue that I've heard about these hybrid herbaceous-tree peony crosses. 'Pink Derby' took awhile to reach blooming size, but it's a winner--fragrant, too! 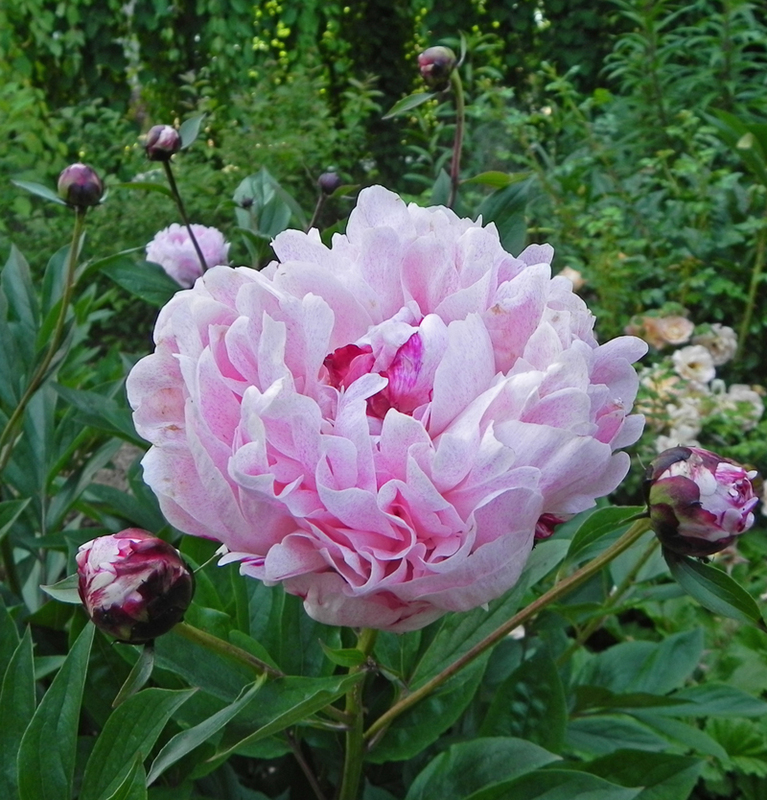 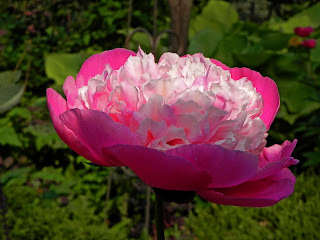 Although it has no fragrance, 'Rozella' is one of the more unusual peonies in my garden, its petal size huge and lightly edged in lighter pink. Fragrance-free but extremely charming is 'The Fawn', a light pink spotted with darker pink. 'Pink Parasol Surprise' has both fragrance and unusual form. 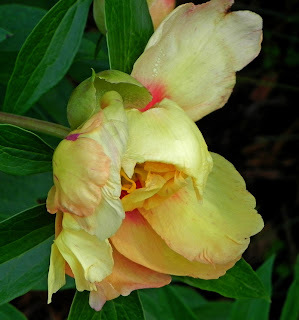 Its tuft of pale pink petals comes right out from the gold center.